It was not too long ago where I came across an article on Chinese salted duck eggs, and after reading it, I become very curious on the outcome of the eggs, so I decided to do my take on these Chinese salted eggs. 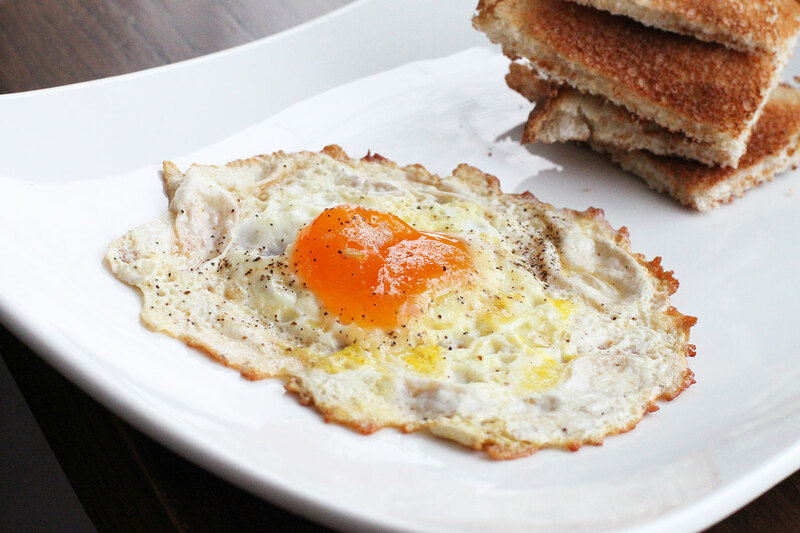 The eggs go way back and are much a common staple in China, however most use duck eggs. The common chicken egg can also be used, and in my case that is the direction I went. Basically this recipe is eggs that are soaked in a brine and placed in the refrigerator for about 30 days or so, then cooked, typically hard boiled, and served with things like congee, however I simply fried mine in just a bit of unsalted butter. The result will amaze you. Start by rinsing the eggs in cold water to remove any exterior filth. Next add your salt, water, star anise, and peppercorns into a medium-sized pot, and bring to a boil to dissolve the salt. Once dissolved, remove from the stove, stir in the Shaoxing wine, and let it come to room temperature. Next, the gentle part. Being careful not to crack the eggs, place them in a large mason jar. You want a glass jar that is non-reactive. Once the eggs are in place, pour the water into the jar, making sure you fully cover the eggs. Cover the jar with the cap, and place in the refrigerator. Set your calendar, and check the eggs in 30 days. When you are ready to make the eggs, either boil them to your favorite temperature, or fry them in a little bit of butter. Now I will admit, I was a bit hesitant to try these as I did not know what I was getting myself into. I see folks buying these style of eggs at one of my Asian markets, and I knew that they were sitting in the brine so they would not go bad, so I went ahead and cracked one in a preheated skillet with a bit of butter. I was blown away when I cracked it into the skillet. The whites were a bit thinner, and the yolk was this killer dark orange color. As I let this cook, I began spooning the melted butter on top of the yolk area to continue to cook. When I took my first bite, I was pleasantly surprised. It was a bit salty, I’ll admit, but the texture was awesome. This would be a perfect pairing with some of the more bland dishes that need a punch of salt. Give these a shot. I hope you enjoy.